Platinum is a naturally white metal, more durable and rarer than gold. Gold is mined nearly 14 times more per year than platinum. 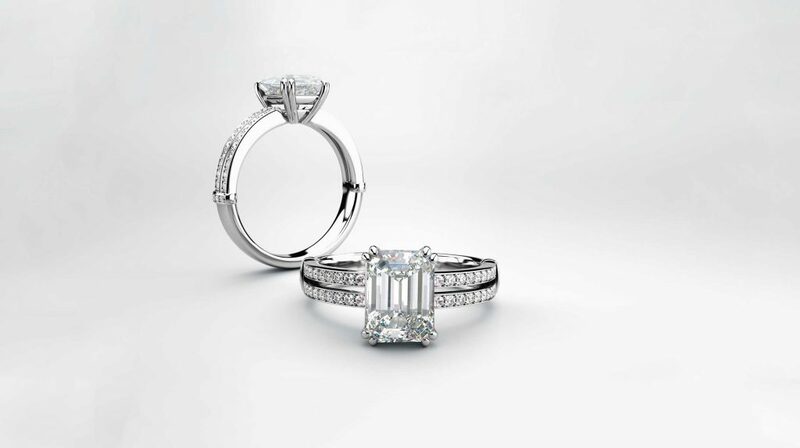 Platinum jewelry is 95% pure and hypoallergenic, making a great choice for those with allergies and metal sensitivities. Because platinum is naturally white, it doesn’t require rhodium plating, unlike white gold. Platinum is denser and weighs about 60% more than the same ring in 14K gold. Platinum looks almost identical to white gold and will remain looking the same for many years.